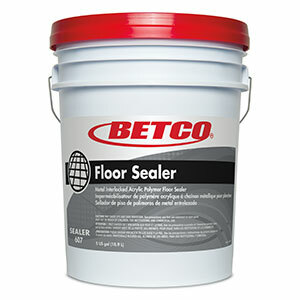 This waterbased urethane sealer and finish revolutionizes the way hard surface floors are sealed. 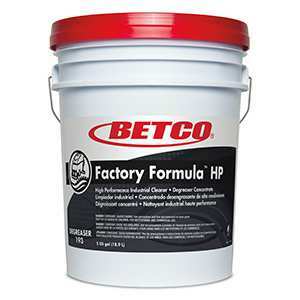 It can be applied effortlessly over new and old concrete, slate, quarry tile, terrazzo and marble and is resistant to a variety of chemicals. Ease of maintenance is exceptional and requires no etching before application. Versatile - Adheres to a variety or hard surface floors. Long lasting - Protection and abrasion resistance. Labor saving - High solids requires fewer coats. Recommended for use on all types of stone flooring (brick, marble, slate, terrazzo and concrete-new and old), resilient tile, quarry and non-glazed ceramic tile. Completely remove all old wax, finish and soil from floor surface following strip procedure instructions on Betco stripper label. Floor surface must be clean, dry and free of residue before finish is applied. Rinse with clean water if necessary. 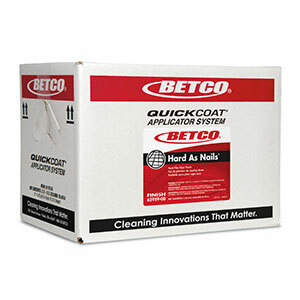 Apply finish in uniform, thin to medium coats using a clean synthetic finish mop, microfiber mop or applicator system. Allow each coat to dry thoroughly before applying additional coats, usually 30 - 45 minutes. Elevated temperatures, heavy coats and humidity may extend dry time. A minimum of 4 coats of finish is recommended. Sweep large debris and dust mop. 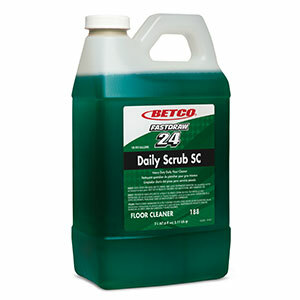 Damp mop or automatic scrub using a Betco floor cleaner. Buff or burnish the floor to enhance gloss as needed. Use Betco One Step High Speed Cleaner/Restorer to condition the floor and extend the time between top scrub and recoating. Sweep large debris and dust mop. Top scrub the floor using Daily Scrub SC and maroon pad to remove the top soiled layers of finish. Floor surface must be clean, dry and free of residue before finish is applied. Apply 1 – 2 coats of finish as directed above. Please recycle empty containers. May be applied to new concrete after 30 days (fully cured) and a surface temperature above 50 °F. Prior to applying sealer to new concrete, use an acidic solution to neutralize excess alkalinity. All new concrete must be cleaned and rinsed. Not for use outdoors. Old concrete must be cleaned with a degreasing solution and rinsed for proper adhesion. 1. Test in an inconspicuous area first, proper adhesion may be difficult due to lack of porosity. Note: Slip resistance meets or exceeds standard, (ASTM D 2047-11) James Machine 0.5 minimum.